All Summer 2018 transfers to Scottish teams in here please. Rangers have made Burnley midfielder Scott Arfield their first signing under new manager Steven Gerrard. The Canada international, 29, has signed a four-year deal at Ibrox after coming to the end of his contract at Turf Moor. Arfield played 20 games for Burnley this season, but has not featured since early February. Scotland-born Arfield started his career at Falkirk before moving on to Huddersfield and then Burnley. Lee becomes the fifth new addition to Craig Levein's squad for next term. Gillespie, 26, leaves Walsall after a season at the League One club and the Englishman had previous spells at Carlisle United and Blyth Spartans. "I'm excited to get going here," he told the Motherwell website. "I'm here to work hard, improve and play in good games in a good league. Hamilton Academical have signed defender Alex Penny from Peterborough United for an undisclosed fee. Penny joins on a two-year deal after leaving the English League One side. The 21-year-old signed for Peterborough last summer on a three-year contract, but made just 11 appearances. Midfielder Tom Owen-Evans has joined Scottish Championship side Falkirk on a permanent deal. Owen-Evans, 21, has signed a one-year contract with Falkirk. Former Aberdeen defender Daniel Harvie has signed a two-year deal with newly-promoted Championship side Ayr United. The left-back, 19, has been capped three times for Scotland Under-21s, but made just five appearances in the Aberdeen first team. 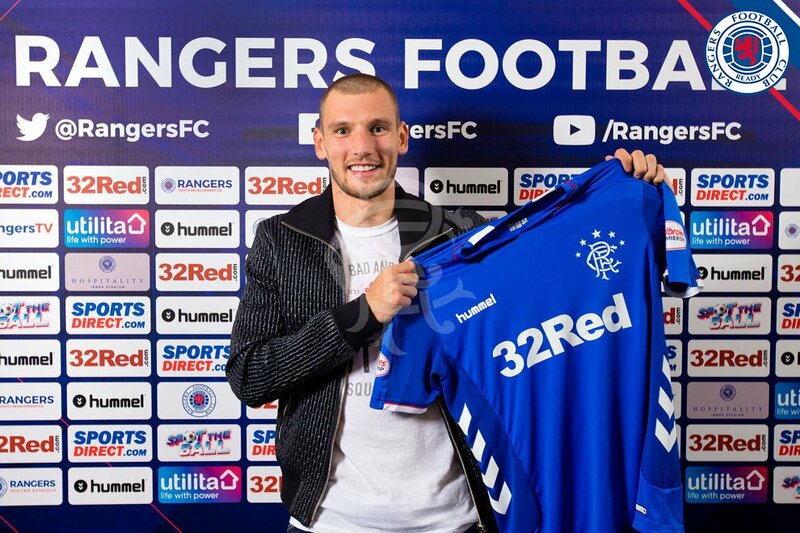 RangersFC today confirm the signing of Borna Bariŝić from NK Osijek on a four-year deal.